'Green is Gold' is the global buzz-word, nowadays. Rediscover the remarkable curative powers of vital herbs. This indispensable lead book chronicles about 80 green resources and over 600 simplified herbal recipes that are proven cures for a large number of frequently encountered ailments and common health problems. Indeed, green remedies are the most sought-after solutions for safe health management, preferred by all advanced Western nations. 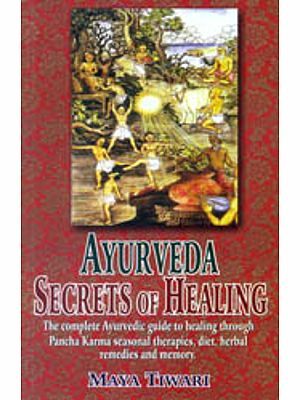 This superb book captures the spirit of Ayurveda and renders a true gist of its grand treatise. It lucidly enunciates the quintessence of herbal medicinal knowledge and applied treatments, as embodied and propounded by the masters of yore, like sages Charaka and Shusruta. The book addresses the immediate health problems of the common man. 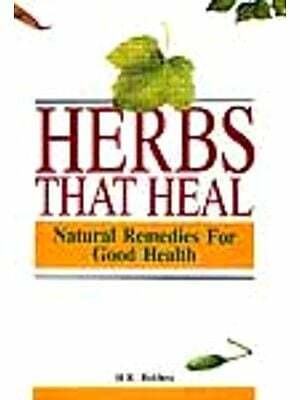 The author's efforts are directed solely to awaken the minds of masses, calling for sensible approach to the simple herbal medicines that are immensely effective, safe and reasonable for all practical purposes. Needless-to-say, all medicinal recipes discussed are wholly based on sound ayurvedic medical texts.  General tonics, Immunity & Memory boosters, Liver correctives & Appetizers, Mother milk enchancers, Mother & Child care. The book is dedicated to public awareness for promoting the qualitative benefits and better alternatives accrued by Green herbal remedies. Reader would immensely gain by applying when needed, the wonderful palliative and curative properties of Green Herbs. Even at its scientific best, modern medicine has its roots in the use of green and herbal remedies. Until 60 years ago nearly all the description of drugs indicated herbal origin in the pharmacopoeia. In the quest for refinement modern chemical technology helped in isolation of the innumerable active principles embedded in those green remedies and such active substances were manufactured synthetically in the laboratories and used as curative agents on the mass-scale in diseased conditions with promising results. After early and initial success these new synthetic magic drugs began to exhibit their inherent drawbacks in the form of adverse side effects during or after their usage. All this has happened because of ignoring the basic natural law the 'in-toto-principle'. Every herb or green remedy is invariably composed of so many fractions, some are active and dynamic while a few more are passive but are required so that the active component does not harm or damage the human system. This regulatory mode works well if the whole herb or green remedy is consumed in gross form and thereby the safety levels are ensured. Ayurveda, the ancient system of medicine of India which operates on the green herbs/plants/trees etc. also stressed the same. It says that by using, combined herbal preparations rather than using the isolated chemical active ingredients the various chemical constituents will function synergistically and mitigate any harmful side effects. For instance take the example of the herb ephedrine (simulate); its active ingredient is the alkaloid ephedrine commonly prescribed for treating asthma & cough/bronchitis. The crude plant contains other alkaloids like pseudo-ephedrine that counters the side effects of ephedrine such as increased blood pressure and heartbeat. This can confer relief to an asthma patient if used in total form. Thus a wholesome green plant is nature's gift to the suffering mankind. Ayurvedic pharmacology known as Dravyaguna utilizes the synergistic cooperation of substances as they co-exist in natural sources. It uses either single plant or more often combinations of plants/herbs as their effects are complimentary. The effectiveness lies in the fact that plants, especially green herbs are concentrated repositories of nature's intelligence which when used properly can increase the expression of that intelligence in the human body. In this back drop today more and more people are rediscovering the great healing powers of green remedies for their every day health problems. Even in the most advanced countries like USA the demand and sale of green drugs in the name of herbals and health supplements has reached Himalayan heights. The goodness in every layer of the green herbs is creating waves across the globe. A fresh look at the healing powers of green remedies is being undertaken in this book. Before concluding, we wish to stress the importance of the subject green remedies particularly in Indian context with a thought provoking and trend-setting quotation from "Charaka samhita" the compendium of Indian medicinal knowledge of Ayurveda. "Yasmin desehi yo jathah tajja tad aushadham hitham"
It means that the best medicine for people living in any particular country is the one that grows in that country only. By following this dictum of charaka all the physicians as well as people born in India would do very well if they select or choose their drugs as far as possible from the locality in which they live since the local environment, habit, diet, geographical and climatic factors play a positive role in the treatment. Let us live with plants and grow with green trees. Acharya Charaka, the great Indian physician and author of 'Charaka-samhita' (the greatest ancient medical classic) says: "The products of a country are most suitable for the treatment of ailments existing in that country". 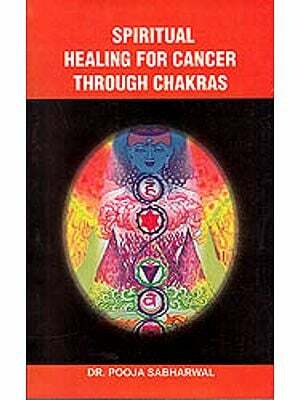 Inspite of this clear cut statement, we under the profound influence of western culture and practices during all these years ignored and neglected our own master's golden and evergreen prescriptions, instructions for perfect health and the effective treatment of ailments with the natural remedies spread-around us. And once the western thought shifted towards Indian and Chinese medical systems and their rich treasures of natural remedies, we Indians as usual woke-up to rediscover our own belongings under the western lights, proving once again our lack of vision, confidence, and commitment. As a consequence of this west-east interaction in the field of herbal research, a lot of new information started to pour-in from different quarters. As such an attempt has been made in this work to incorporate all such inputs in addition to the ancient medicinal knowledge. This the ancient wisdom and the modern vision are clubbed together to write this small treatise on green remedies in an innovative style to make the work more workable and practical in tune with the saying that science based on nature's laws is eternal. It's value lies in personal experience. Holistic or totalistic approach of healing, popularly phrased as holistic medicine, has a bright future in the new millennium despite many dramatic inventions likely to take place in the millennium, for instance, finding longevity genes, harvesting new body parts, inventions of microscopic robots that will enter the blood stream, detect illness, communicate with surgeons and repair cells, high-tech uses of lasers that can now resurface the skin of the aged to restore youthful appearances and repair clogged arteries in the heart or brain etc. The mind-body-spirit approach of the ancient systems of medicine like India's Ayurveda and China's nature medicine etc. Whatever their lineage, these therapies seem to have certain traits in common. They work gently, slowly in a simpler way, do not harm and can be supplemented along with modern medicine. Moreover these are cost effective and gaining wide-spread acceptance for their effectiveness. 2. Seeking treatment for the whole person, not just the sick part of the body. Further the respondents in the survey, compare much of modern medicine to an impersonal assembly, offering the limited options of drugs with unwanted side effects or surgery. The holistic health concepts do not try to fix the body but instead help super-charge the body's inbuilt healing capacity. In a nutshell the modern medicine's approach is anti-biotic while the alternative medicine deals in a pro-biotic way. Major medical institutions of India, Australia, and U.S. realizing the importance of the alternative practices are integrating these techniques into their course work and practical experience. 1. Yoga, relaxation meditation techniques. 2. Herbal medicine of Ayurveda, China etc. 3. Various therapeutic massage procedures described in ayurveda-upakarma therapy. 5. Exercise and movement therapy. All the positive shifts taking place in the management of health throughout the globe indicate that health will be a democratic domain and access to affordability, convenience and quality of good care will be realized in the future. When one faces a catastrophic injury or illness, one will be glad to have the most modern medicine and viable complete services. If one find 'himself with a chronic complaint that most doctors cannot seem to pinpoint then one might just try the resourceful tools of traditional and holistic practioners and be surprised to feel better than ever. One should always remember that vibrant health is not a matter of luck but of smart choices and good living practices. So eat right, exercise, think positive and take time to help others. The future of your health is clean and green. Early man was very close to mother nature, living in daily contact with the plants, animals, mountains, rivers, green valleys all these were his home. This made him sensitive to these natural things. As such he was able to observe the animals eating many herbal species for their health, for example he noticed that cats eat blades of grass, they digest feathers, hairs and other non digestible matter. These observations led to initiate the early research process in people. Very soon a massive pile up of the medicinal values of the green remedies occurred as a result of these trial and error methods adopted. 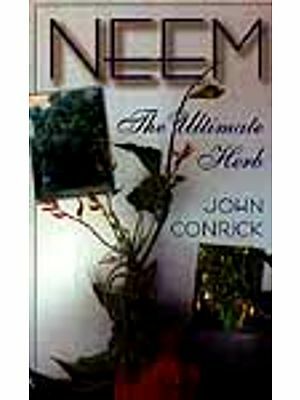 This inherited intuitive knowledge of which herb/plant is the right remedy for a particular ailment, is one of the most fascinating aspects of nature and it is not surprising to note that by copying animal, man soon learned how to use nature's healing powers animal experimentation mode. In a true scientific spirit on becoming more intelligent, man searched for the resemblance of shape of the plant, leaves, seed, roots etc with that of organs of the man, thereby he prescribed heart-shaped leaves for heart problems, kidney shaped nuts for kidney complaints etc. and further from empirical evidence, man acquired knowledge on how plants could do service to him not only for food but also to keep him in good health. In the name of civilization, as people moved away from mother nature, they appeared to have become more prone to disease, decay and degeneration. Because of multiple causes and effects to overcome them, the civilized and urban based man searched for the magic remedies with roots in synthetics and finally procured the much talked antibiotics, steroids etc. these are invaluable gifts to humanity saving lives and improving the quality of existence but only when used with discretion and appropriateness. Without considering the effect on the body systems and the consequences of their indiscriminate use. All this has led to resistance and rebound manifestation of diseases, thereby shifting the focus on to the forgotten natural green remedies once again. Dr. S. Suresh Babu MD (Ayurveda), a renowned writer and practitioner of Ayurveda has been teaching and writing for the cause of Ayurveda for more than two decades. Hailing from a family of traditional Ayurvedic physicians, his penchant for writing has led him to win many awards, including the much acclaimed Vaidya Ratna P.S. Warrier Prize of Arya Vaidya Sala, Kottakal (Kerala) for 'Best Thesis' three times consecutively in the years 1994, 1995 and 1996. Owing to a rare combination of innovation and sound practicality, he continues to be a much sought after practitioner, writer, and teacher in the Ayurvedic Medical world. His other published book from Pustak Mahal 'A Treatise on Home Remedies' has been widely appreciated. The co-author of this book, Dr. M. Madhavi is a research associate working with Dr. S. Suresh Babu.